Among plastic surgeon, Dr. Arnold Breitbart M.D. 's top priorities are patient safety, education, and satisfaction, so choosing him for your plastic surgery in Long Island means you'll be treated to attentive medical care and excellent results. At his lovely Manhasset office, Dr. Breitbart M.D. specializes in both facial plastic surgery and body contouring procedures, including Breast Augmentation, Liposuction (as well as SmartLipo), and Tummy Tuck. This New York plastic surgeon also specializes in skin rejuvenation treatments like Botox and Restylane, and reconstructive plastic surgery. New York and New Jersey patients of Dr. Breitbart appreciate the personalized care he provides in order to understand their unique goals and customize a plan that benefits individual needs. Contact us to schedule your consultation with Dr. Breitbart today. His Manhasset offices are conveniently located near the Americana and North Shore University Hospital, serving Nassau and Suffolk Counties, Great Neck, Port Washington, Roslyn, and Brookville. 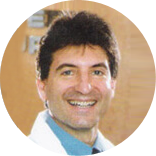 Dr. Arnold Breitbart - Manhasset, NY offers Complimentary Consultations. Your initial consultation will last about 45-60 minutes and consists of an evaluation from the doctor, a computer slide show, thorough question and answer session, and an exam. Dr. Breitbart M.D. 's practice offers several patient financing options that you can apply for when you visit the office. We can also help you apply for financing when you call for your consultation. Repeatedly selected by Castle Connelly as one of the top plastic surgeons in the New York Metropolitan area. Dr. Breitbart has been featured in Newsday and on NBC news. As a marathon runner and a member of the Team Diabetes marathon running team, Dr. Breitbart has raised money on behalf of the American Diabetes Association. Cosmetic and reconstructive breast surgery, facial aesthetic and reconstructive surgery, and body contouring, including abdominoplasty and liposuction. Plastic Surgery Residency: New York Universtiy Medical Center, Bellevue Hospital, Manhattan VA Hospital, Manhattan Eye, Ear and Throat Hospital. 1991-1993. Research Fellowship: Institute of Reconstructive Plastic Surgery, New York University Medical Center. 1987-1988. Craniofacial Surgery Fellowship: New York University Medical Center. 1993. Microsurgery and Breast Reconstruction Fellowship, Memorial Sloan-Kettering Cancer Center, NY. 1994. Associate Chief, Division of Plastic and Reconstructive Surgery: New Yorrk Presbyterian Hospital - Columbia Presbyterian Center, new York, NY. 1999-2004. Chief of Plastic Surgery Research: New York Presbyterian Hospital. 1999-2004. Associate Chief, Division of Plastic and Reconstructive Surgery, North Short University Hospital, Manhasset, NY. 1994-1999. Plastic Surgery Education Foundation, 1993 for study "Tricalcium phospate and osteogeniin: a bioactive onlay bone grafat substitute." Department of Surgery, Columbia-Presbyterian Medical Center, 1999-2000, for sutdy "Treatment of ischemic wounds using fibrobasts retrovirally trandsduced with PDGF and VEGF genes." Department of Surgery, Columbia-Presbyterian Medical Center, 2000-2001, for study "Treatment of diabetic wounds using dermal fibrblasts retrovirally trandsuced with PDGF gene." Depart of Surgery, Columbia-Presbyterian Medical Center, 2001-2002, for study "The fate of transplanted fat-derived stem cells." American Diabetes Association, 2002-2005, for study "Gene therapy for treatment of diabetic wounds." American Society of Maxillofacial Surgeons, 2003, for study "Repair of alveolar defects using osteogenically differentiated fat-derived stem cells." Department of Surgery, Columbia-Presbyterian Medical Center, 2002-2003, for study "Repair of cranial defects using osteogenically differentiated fat-derived stem cells." Women at Risk, Columbia Presbyterian Medical Center, 2003, for study "Tissue engineered breast reconstruction using stem cells and gene therapy."